There is something about warm ocean breezes and the smell of salty air that makes evenings in the Myrtle Beach area unforgettable. With more than a thousand full-service restaurants tempting the palates of visitors each year, the choices are dizzying but delicious! Every cuisine is well represented and put to the test by thousands of diners nightly. In the mood for seafood? 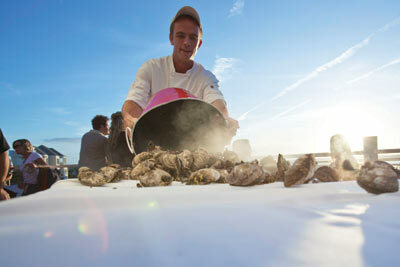 The Murrells Inlet Marshwalk is known as the "seafood capital of South Carolina." Hankering for a good steak? Dozens of restaurants all along the Grand Strand offer up prime cuts of meat daily. The perfect ambiance while eating? Ocean Boulevard can't be beat for eateries with unbelievable views of the Atlantic Ocean. After dinner, it's time to hit the town. The Myrtle Beach area is known for a rich assortment of nightlife. You can enjoy yourself at any of the local hot spots, where great music and high energy are the order of the day. Looking for an award-winning show? Then dazzling lights, spectacular music and dynamic productions is what you'll find. Entertaining celebrities and sparkling dance shows will entertain your entire family. Our daily show lineup is sure to spark excitement and enchantment into your dream vacation. 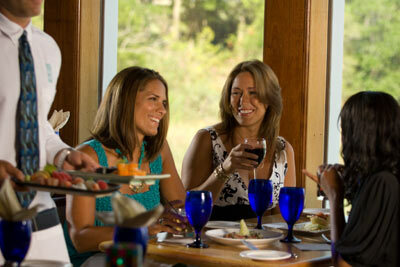 For more information: Myrtle Beach Restaurants and Myrtle Beach Nightlife on VisitMyrtleBeach.com.